As a professional development activity, I took an online course on online course development. Through that course, I designed an instructional module on Podcasting with GarageBand for Fredericksburg City Public Schools’ learning management system, Moodle. The course, titled “Destinations through Technology,” was available for faculty, staff, and students in Fredericksburg to take. 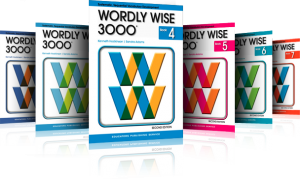 As Lafayette Upper Elementary School adopted a new spelling program, Wordly Wise 3000, I worked to create student-centered enhanced podcasts of each unit’s spelling words so that students could complete the assessments independently using an iPod touch or other audio device. Teachers gained back valuable instructional time by utilizing these self-assessments in their classrooms. Click on the image for an example of the enhanced spelling podcasts.